A trespassing conviction in Federal Way should never be underestimated. Criminal trespassing in Washington State is defined as a person knowingly and unlawfully entering or remaining on a Federal Way premises that belongs to another party. This crime is most commonly committed in Federal Way commercial buildings, but trespassing may also occur on or in construction sites, empty lots, and residential homes. Sometimes a criminal trespassing charge results from a misunderstanding, but it's still necessary for the court to accept your explanation. A person charged with criminal trespassing may have forgotten to carry proper identification, or may not have been aware that they were on private property when confronted by the police. 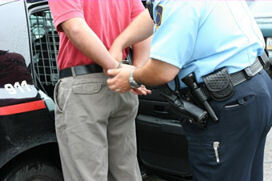 If this applies to you, discuss the details of your arrest with one of our qualified Federal Way trespassing attorneys. Law enforcement officials sometime place an emphasis on prosecuting criminal trespassing cases, especially in places frequented by the homeless and teenagers. These areas include parking lots and stores where problems may have previously occurred. If you think the police targeted you without reason, our Federal Way trespassing lawyers are ready to help you take the next step. A Federal Way trespassing charge may be either a misdemeanor or gross misdemeanor. A gross misdemeanor conviction imposes penalties of up to a year in jail, fines of up to $5,000, and the risk of a damaged reputation that accompanies a criminal record. At the Law Office of Jason S. Newcombe, our team of litigators will pursue any legal means to have your trespassing charges dismissed. Contact a Federal Way trespassing lawyer before talking to the authorities and make sure that your legal rights are protected. When preparing your defense, it helps to have an understanding of how the law applies to your situation. Even if you were charged with trespassing without reason, you still need to deal with the prosecutor and court. You will benefit from professional legal guidance as you build a resolute defense; something our Federal Way attorneys are proud to offer. Our Federal Way trespassing attorneys will attempt to resolve your case quickly. Handling the courts is often tricky, but we will work diligently to ensure that you get reliable information when you need it most. In many cases involving criminal trespassing, the property owner and defendant had a simple misunderstanding that led to an arrest. Sometimes mistaken identity is the cause. With over thirty years of combined experience, our Federal Way lawyers know how to prepare for a criminal trespassing case, so contact us today to get started.